Museum Textile Services works every day with individuals and institutions like you. Maybe you inherited a family treasure, or perhaps you finally found the perfect textile to add to your collection. No matter whether you are a seasoned art connoisseur or this is your first time conserving an item, our services will meet your needs as well as those of your textiles. 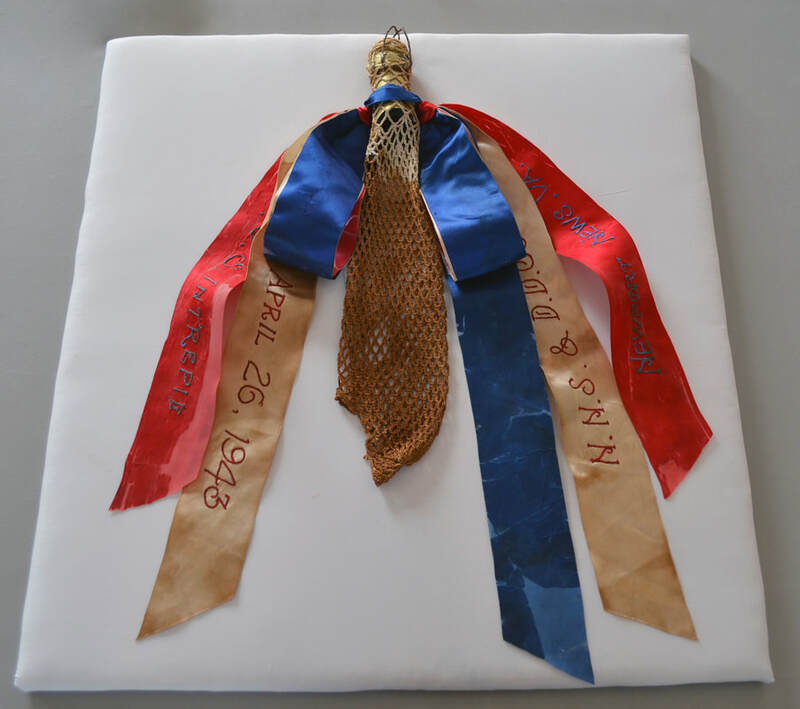 1943 christening ribbon from the USS Intrepid, before conservation. Courtesy Intrepid Sea, Air & Space Museum. Christening ribbon after cleaning and stabilization. Courtesy Intrepid Sea, Air & Space Museum. The first step of any conservation project is an assessment and conservation report. Our customers tell us that this report is a crucial way for them to understand the history and technology of their textiles, and that our treatment options and recommendations are thorough and clear. Click here to read an outline of our conservation procedures.